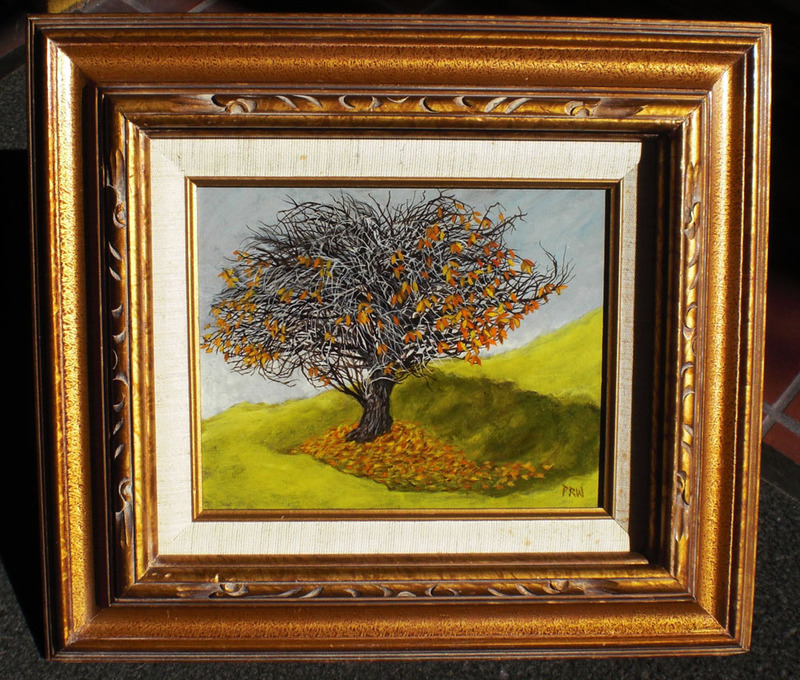 Acrylic on panel with vintage frame. Dated 2017. Picture size is 5" X 7" and 7" x 10" with the frame. Acrylic on panel. Dated Spring 2018. 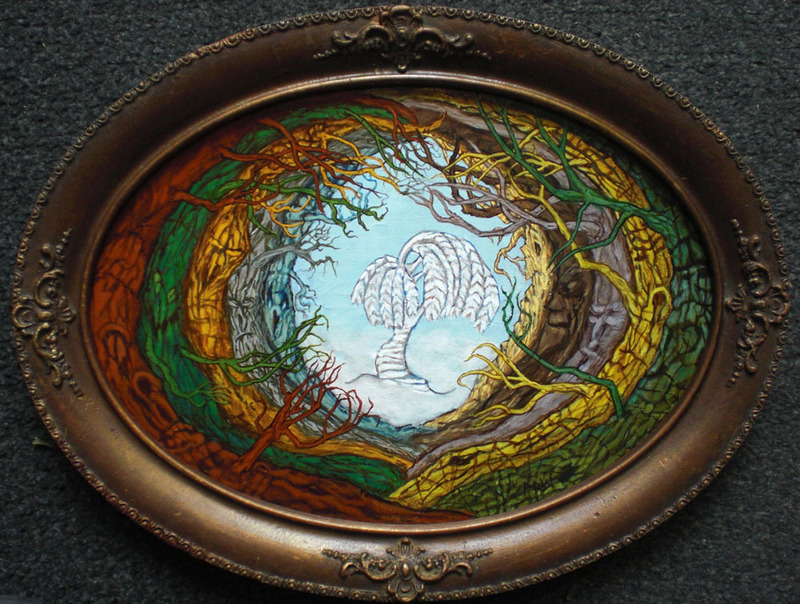 "Poems Are Made By Fools Like Me"
8" X 10" and 15" X 17" in frame. 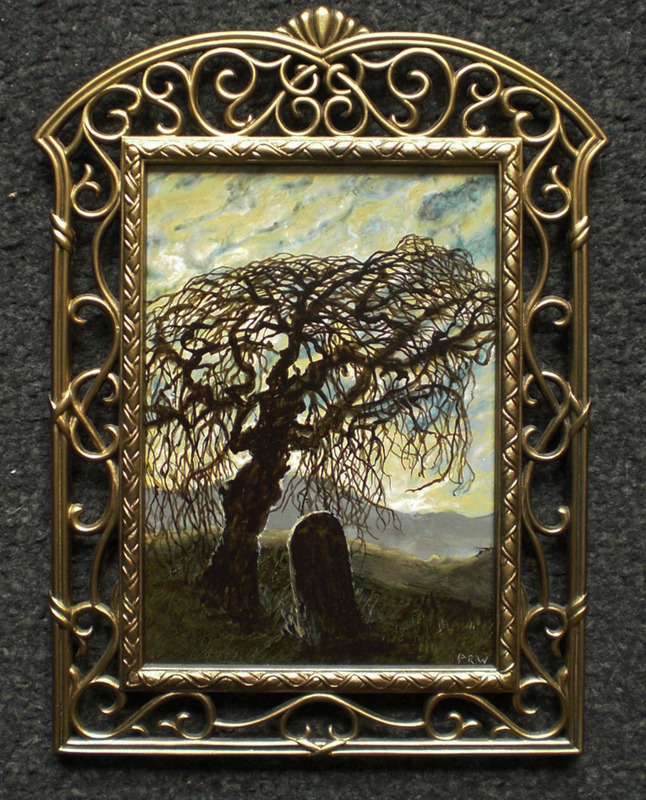 Acrylic on panel with vintage frame. Dated 2016. 5" X 7" and 9 1/2" X 11 1/2" in frame. 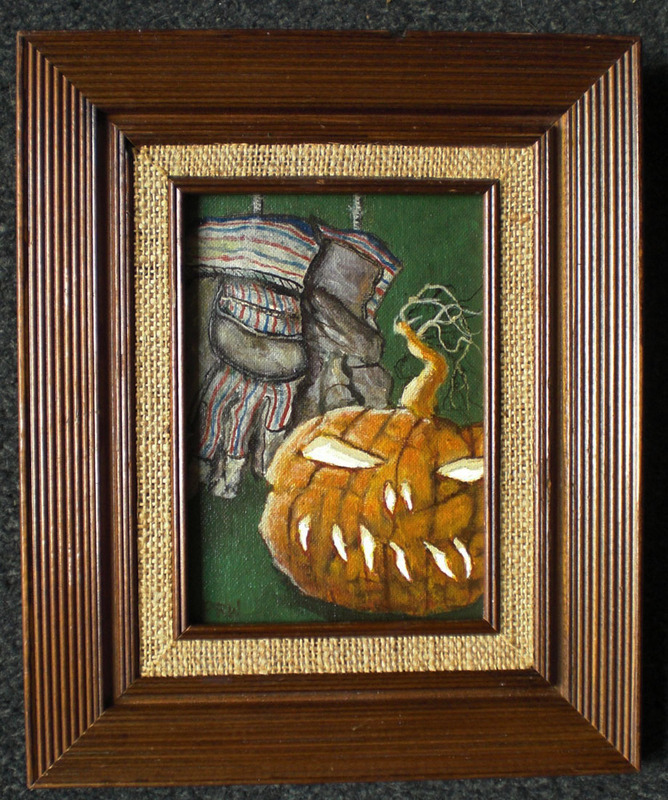 Acrylic on canvas panel with vintage frame. Dated Winter 2018. 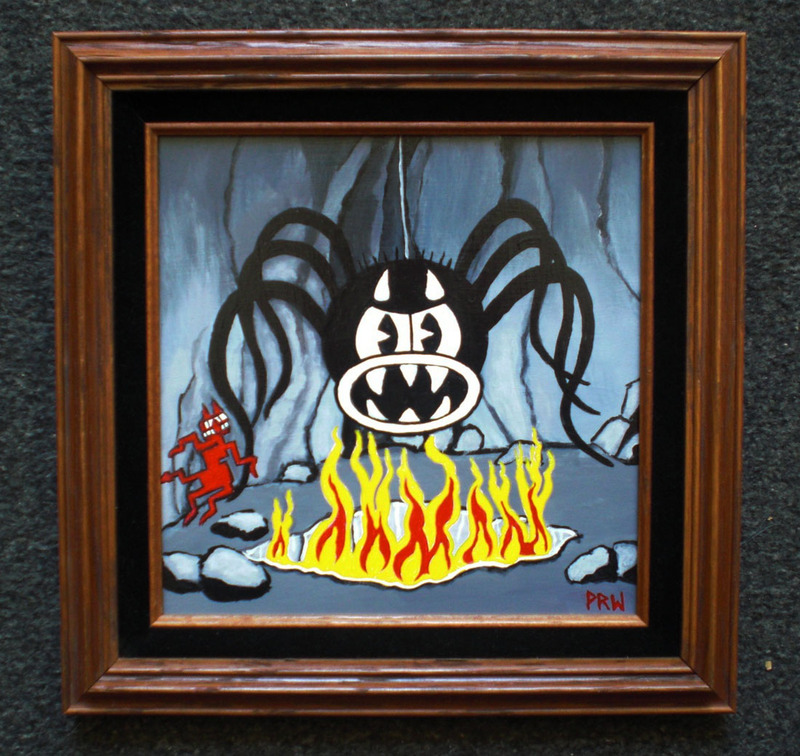 Acrylic on panel, 8"x 8" and 10 1/2"x10 1/2" with vintage frame. Dated 2018. 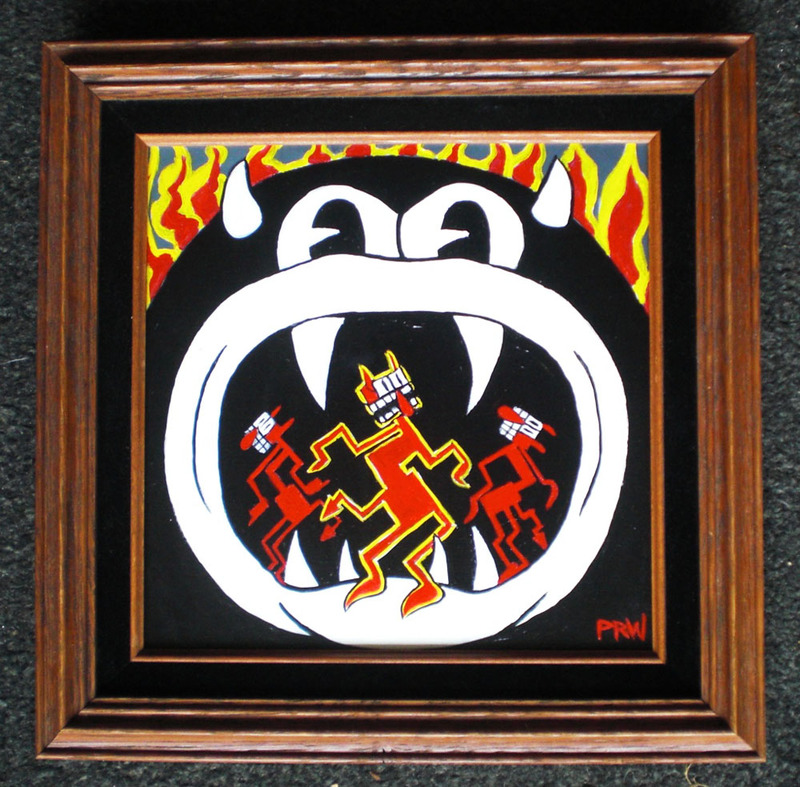 Another cartoon painting from PRW. "San Francisco, July 20, 1969"
Acrylic on panel, 9 1/2" X 11 1/2" and 15" X 17" with vintage frame. Dated Winter 2018. 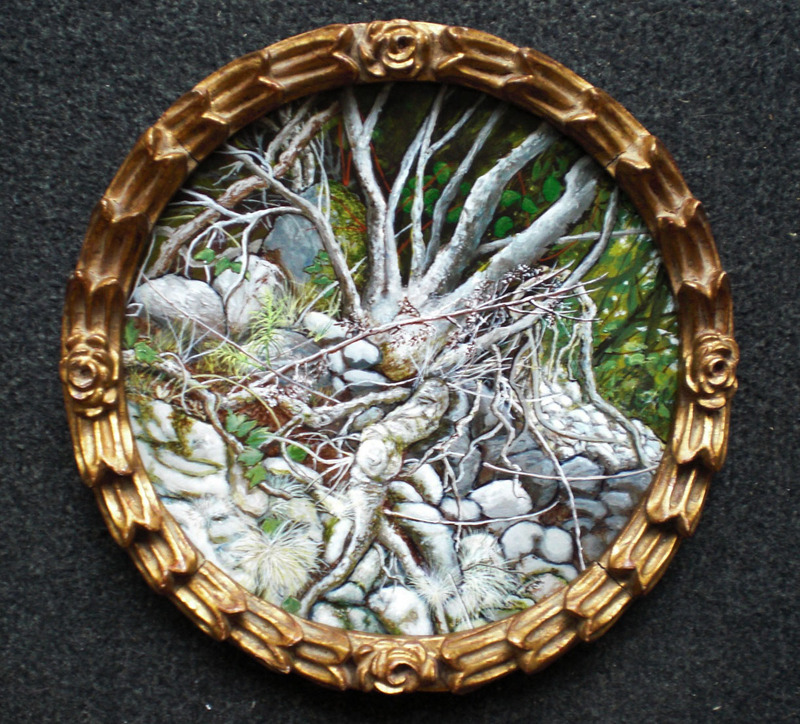 Acrylic on panel, 11 1/2" X 11 1/2" and 13" X 13" with vintage frame. Dated Winter 2019.